I enjoyed my life when I had nothing… and kinda like the idea of just being happy with me. To me, punk is about being an individual and going against the grain and standing up and saying ‘This is who I am’. Everybody’s just emulated us and now everybody just kinda takes our sound as their foundations. Well, I think we’re the greatest rock ‘n’ roll band in the world. For better or worse, MTV sort of bridges the whole country together almost like the BBC does in England. It’s opened up everything so wide that it’s possible for everyone to have different ideas. 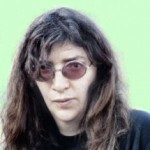 Jeffrey Ross Hyman (Joey Ramone) was born in New York, USA. He was an American musician, singer-songwriter and lead vocalist. In 1972, he joined the glam punk band Sniper. 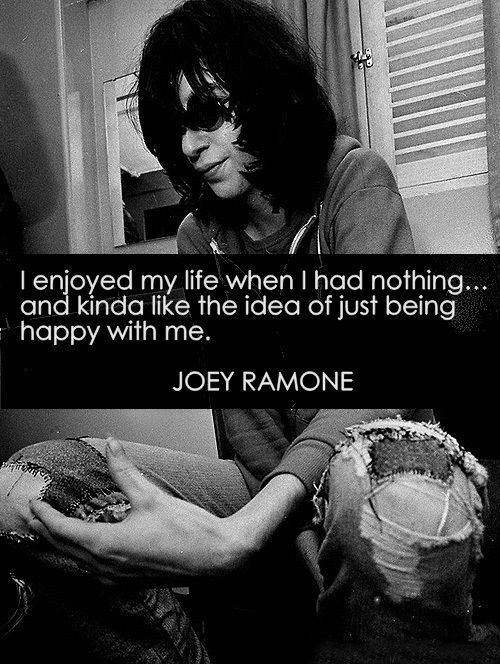 In 1974, he co-founded the punk rock band the Ramones with friends John Cummings and Douglas Colvin. His albums list shown below: Don't Worry About Me and ...Ya Know? His albums list shown below (band by the Ramones): Ramones, Leave Home, Rocket to Russia, Road to Ruin, End of the Century, Pleasant Dreams, Subterranean Jungle, Too Tough to Die, Animal Boy, Halfway to Sanity, Brain Drain, Mondo Bizarro, Acid Eaters, and ¡Adios Amigos!. His singles list shown below: "Sheena Is a Punk Rocker", "I Wanna Be Sedated", and "Bonzo Goes to Bitburg".